Reminder: The City of Oak Ridge and Oak Ridge Schools will have a Community Wellness Fair today (Wednesday, April 22). The Wellness Fair is scheduled from 11 a.m. to 4 p.m. April 22 at the Oak Ridge Civic Center. It includes a wide range of activities that include blood pressure checks, doctor’s chats, exercise tips, shingle vaccines, breast and men’s health, and dental, hearing, and diabetic foot screenings. There will be a Medic Mobile blood drive from 10 a.m. to 5 p.m. at the Civic Center. The Knoxville Comprehensive Breast Center will have a mobile mammography coach starting at 10 a.m. for employees, spouses of employees, retirees, and their families. Appointments are required and can be made by calling (865) 583-1003. More than 60 providers and vendors are expected at the Wellness Fair. The results of the 2015 Biggest Loser Competition will be announced at 1 p.m. There is no charge to attend, and the Wellness Fair is open to the public. 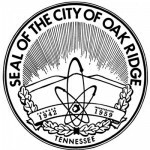 The Community Wellness Fair is sponsored by the City of Oak Ridge and Oak Ridge Schools Coordinated Health Wellness Committee.